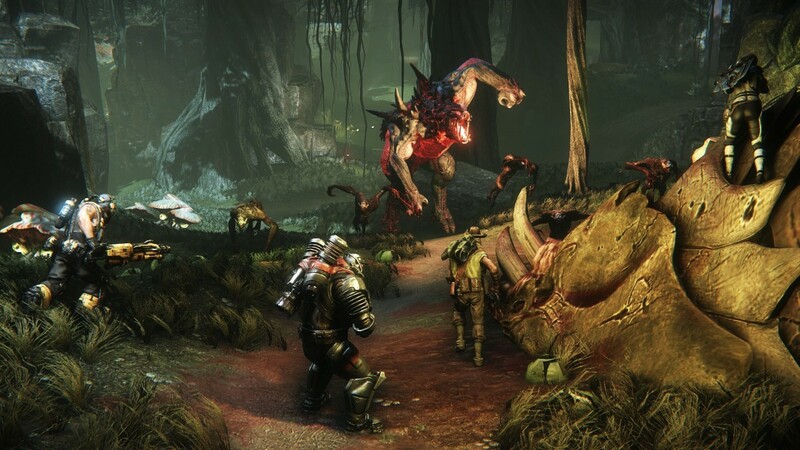 Here’s our first look at the new “launch trailer” for the game EVOLVE. Evolve is set on Shear, a distant planet located in the “Far Arm” of space, that humanity has traveled to in the distant future. The established colonies, considered the most valuable in this region of space, are soon attacked by malevolent alien Monsters. As the Monsters destroy the colonies on Shear, a former planet tamer named William Cabot is brought out of retirement to deal with the threat, in order to evacuate the remaining colonists from Shear. In response, Cabot assembles a team of Hunters—consisting of war veterans, psychopaths, professionals, and expendables—to eliminate the Monsters, setting the main conflict of Evolve. Evolve has already been released so skidaddle over to your local game stores to get your copy.